Use GoogleMaps/Mapquest/etc. 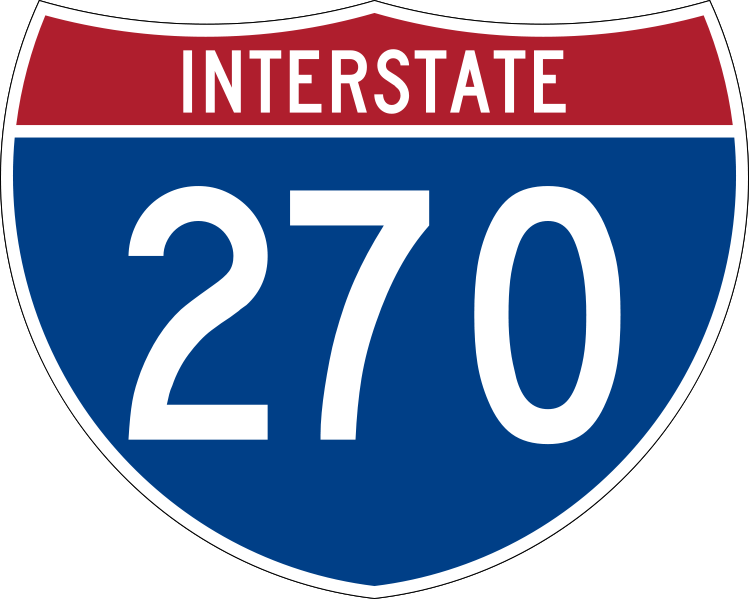 to figure out how to get to I-270 from your start point. After that please follow these instructions and NOT your own maps or GPS device - you might get lost. Assuming you are driving on I-270 N, follow the blue line on the map.